That’s it, you are now stressed out dealing with family and have decided to look for Thanksgiving Escape? well, there is no better way to spend Thanksgiving day, but at Laluna. No last minute runs to the supermarket to get supplies. No worries about the Black Friday deals you will be missing out on. 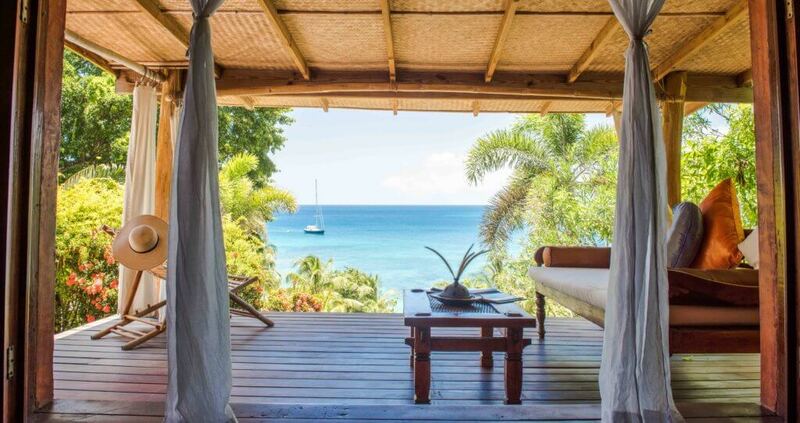 Instead, wake up to the waves lapping along the secluded beach and have breakfast on your private veranda. Get the blood flowing in a Vinyasa yoga class, at Laluna’s yoga pavilion on the beach. Savasana is spent listening to the surrounding nature of the lush tropical garden, and the sea just steps away from the yoga deck. 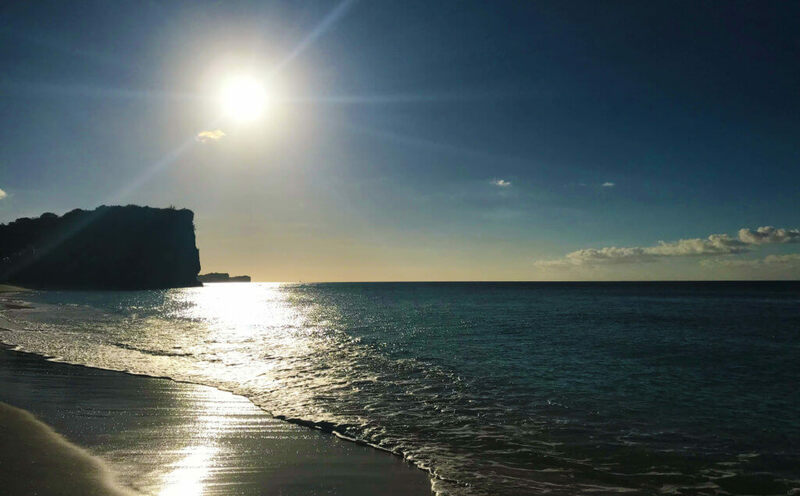 Finishing off with an Omm that completes your gratefulness to be fortunate to travel to such a tropical wonderland of the island of Grenada, on your Thanksgiving escape. 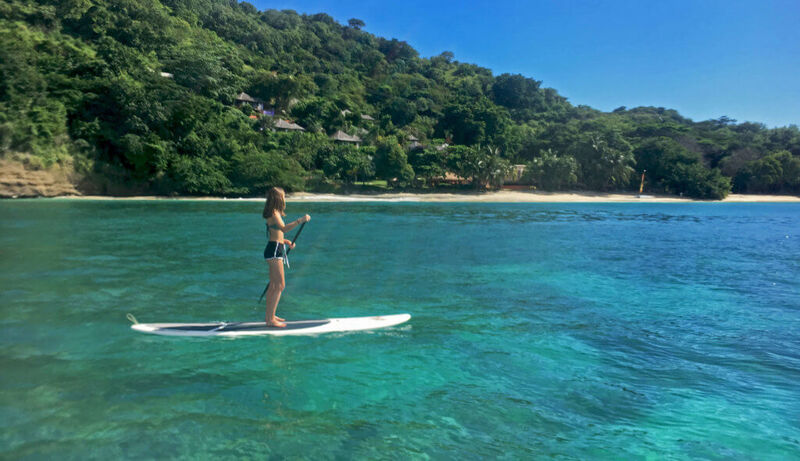 With such a tranquil sea, a paddle board to the next bay is a must, or there are the kayaks, or maybe the Hobie cat, to sail along the tropical breezes and explore the coastline where white sandy beaches, touch the aquamarine blue of the sea. A Balinese massage is a must in the afternoon, and no other than Laluna’s Balinese masseurs can do it to perfection. Sometimes more pressure is needed and a Tatami massage, where the therapist walks on your back and legs, is a must. Sundowners at the bar for the Happy hour which is offered daily from 5-7pm, so no rush to leave the cool open air lounge area. Perfect to catch the sunset while chilling out on Balinese day beds. Then it is time to prepare for the evening with a shower in the open aired bathroom of your cottage. The shower has views of the ocean or garden and makes you feel at one with nature. Then down to dinner at the restaurant on the beach. In case you are homesick, Laluna offers a traditional Thanksgiving dinner. 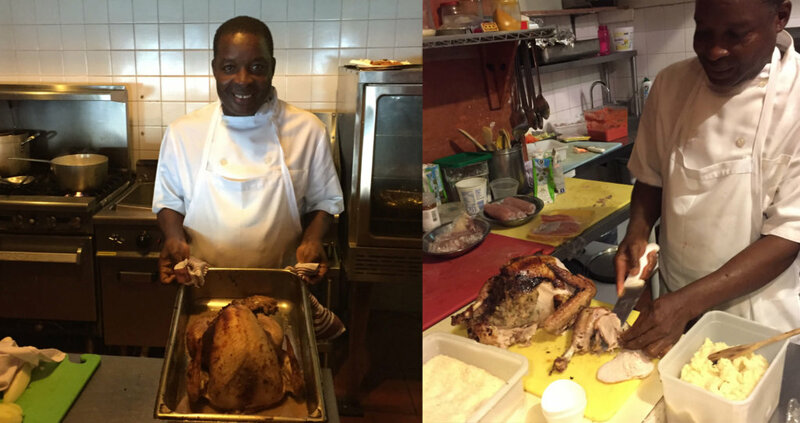 Two turkeys are prepared for this special day with all the trimmings of cranberry sauce and stuffing, and not to forget the pumpkin pie.